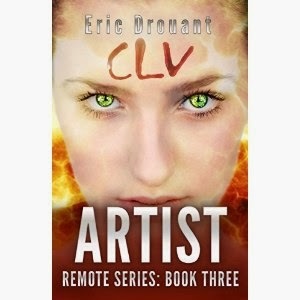 Eric Drouant's "Artist," book 3 in the Remote Series, is about a down-on-her-luck psychic who trains to become a government assassin to reinvent herself. This action/adventure novel features protagonist Cassie Reynold, someone who fans of the series are very familiar with. But readers just getting into the series, will have no problem getting caught up to Cassie's character. When she is sent to solve a set of murders in New Orleans, she meets a cocky homicide investigator, Kurt Dupond, and together they try to take down a depraved serial killer. The plot moves forward with lots action, adventure, and mystery. In addition to those elements, there is an emotional undertone in which Cassie must confront new feelings, reconciling them with her past. Drouant makes excellent usage of changing the narrator's perspective, giving you a view of the story through the eyes of different characters. As someone who used to live in New Orleans, I feel Drouant did an excellent job of capturing the essence of the region, from the culture to the food. If you like multi-layered action/adventure novels with suspense and romance elements, you'll love this book.